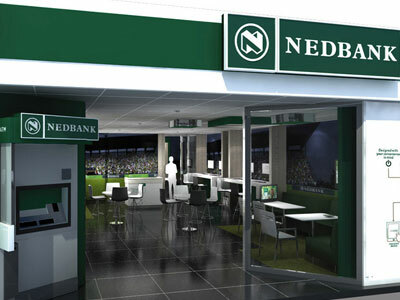 JOHANNESBURG, (CAJ News) – IN an industry increasingly revolving around technology, Nedbank has officially launched what is said to be the continent’s digital-only branch. Officials disclosed the facility, called the NZone, was an investment of over R2 million. It was unveiled at the Gautrain Station in Sandton, northern Johannesburg on Thursday evening. The branch makes the most of modern technology such as virtual reality to interact with clients and prospective customers while eliminating the need of tellers. “Because it is experimental, you tend to spend more upfront,” she said in an interview. The technology includes modern, touch-screen computers and mobile virtual reality headset. Pierterse said as the banking industry changed, Nedbank had more digital offerings coming to the fore. She said there would be more of the NZone outlets but not at scale. Brigitte Ryder, Nedbank Provincial General Manager: Gauteng North, said the NZone was in keeping with the company’s “digital first, first in digital” ethos. “We have innovations based on their understanding that clients don’t need to manage money for the sake of managing money but rather to facilitate their daily lives to make it possible to fulfill their goals,” Ryder said. “As technology is changing all areas of our lives, including how we interface with our finances, Nedbank’s purpose is to use our financial expertise to do good. Technology has a huge role,to play in enabling us do good for all our clients and society at large,” Ryder added. Four employees will assist clients at the NZone.